Ian Rutherford is a technie; someone just comfortable enough in IIS, SQL Server, HTML and ASP to make a ‘real’ e-commerce site – or at least comfortable enough to learn. Last time we talked about Ian’s back story, and left him with a tech support position at Pizza Hut Corporate Headquarters in Texas, learning the skills he would later use to start his own business. Iwanted to ask Ian how he decided to move to colorado, start his own business and how it went. It’s time for part II of our story. Matt Heusser: How did you find yourself becoming CTO of the Catholic Store in Denver? How large was the IT department, and what was it like? Ian Rutherford: Back in 1999 while I was working at Sprint Paranet doing website development I decided that I liked doing web and database integration but I really wanted to do something faith-based. 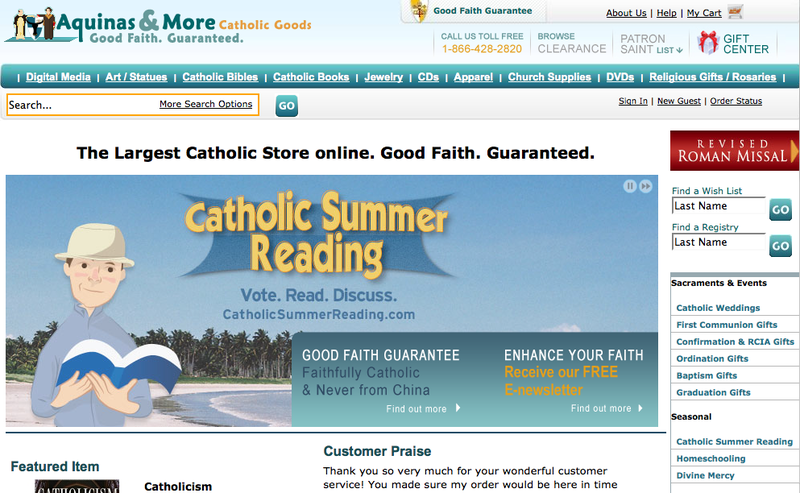 I had already been working on websites since 1994 and after watching Amazon take off, I figured that there wasn’t any reason that a Catholic store couldn’t have the same success on a slightly smaller scale.I, with the eyebrow-raised agreement of my wife, decided to leave Sprint and start my own Catholic store since the technological world didn’t end in 2000. I decided to work on a fulfillment warehouse model to keep my costs low so I approached the largest Catholic bookstore in Denver about doing fulfillment for this website I was going to build. The owner instead offered me a job building his website which I made into the largest on-line Catholic store in two years. When I arrived I increased the size of the IT department from zero to one and that is how it stayed until I left in 2002. We actually brought in a T1 and hosted the website on servers in an office closet. Matt Heusser: Somewhere along the way, you and family decided to start your own Catholic store. What was that like? Would you consider it a vocation or a calling? How do you know that you made the right choice? Ian Rutherford: When I decided to start Aquinas and More I was excited. I really thought that this was my calling. I wouldn’t call it a vocation, that’s what my family is. There was very little competition and I had the technical know-how (if not the business savvy). My family was supportive and my Mom, who I will never be able to repay, worked as a volunteer for countless hours while we did mind-numbing data entry. At the time, hardly any of our vendors were on-line so getting digital pictures, descriptions or any other promotional assets was almost impossible. We opened in October of 2002 with an initial investment of $12,000 and a 144 square foot office twenty miles from town. I’ll get back to you on the right choice when I’m more sure of the answer. Matt Heusser: 2002 to 2012 is a long time. Can you tell us about the process of starting the business, especially the early years? Did you have any doubts? Ian Rutherford: In early 2002, the owner of The Catholic Store told me that my contract was up and that I could reapply for my job but that he was looking for someone else who wouldn’t cost as much. I decided that wasn’t a good situation to be in so I decided it was time to part ways and start up my own business like I had planned to in the first place. I had about three months to build the customer-facing component of the site from scratch before we opened in October. Those were some very long days and nights of code writing and I am sure that a code reviewer would have nightmares about some of the legacy code still in the system. When we first started in our tiny office my team consisted of my Mom, a family friend and me. We had a web server, a database server, three workstations, a flatbed scanner and some utility shelves for product. We had also purchased an old jewelry case from a local church. We spent weeks just writing descriptions for items and learning the rudiments of using a digital scanner. During that first year we would wait for orders to print as they were placed and had our first “big break” when a publisher reprinted Bishop Fulton Sheen’s Wartime Prayerbook. We sold several hundred in a matter of weeks. We finished part two of the interview with Ian taking the risk of his life; an on-line-only web store. Next week we close our adventure, with Ian taking the store to profitability, and even opening a a physical bookstore – with a lot of help from family and friends, and a few adventures along the way. We’ll also cover the advice he has for folks who see the path but have concerns about making the leap.